All the fun of flying monkeys without the fuss of evil witches! 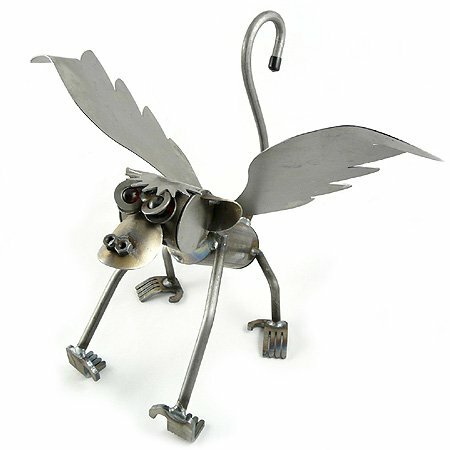 Cleverly crafted entirely of recycled metals, the winged monkey garden sculpture by Yardbirds is perfect for indoors or outdoors (where it develop a natural rust patina). 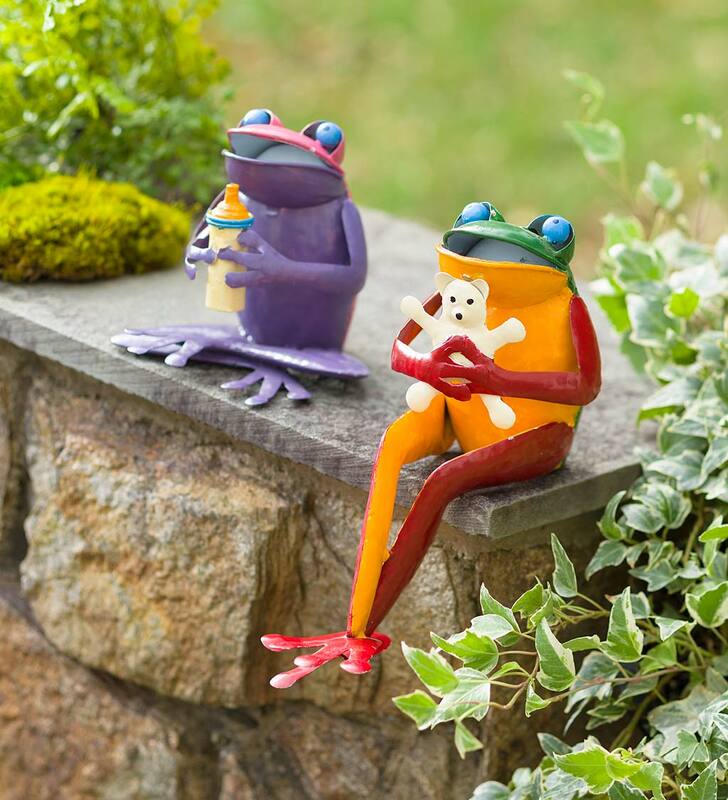 Firmly stands upon re-bar feet or can be hung from a branch or plant hanger with the help of his curved tail! Measures 12" high x 11" wide x 8" deep. Handmade in the USA. Now here's a garden snake that will make you smile - not scream! 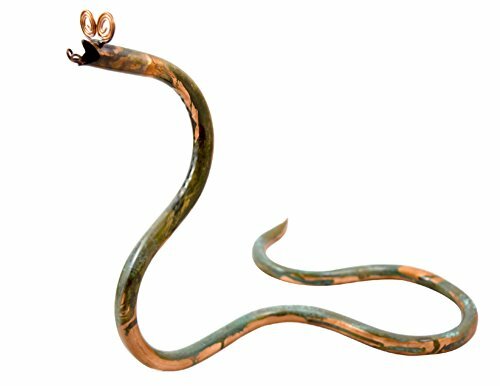 Handcrafted in the USA, each silly snake is created from copper tubing with the addition of large copper eyes and tongue. The sculpture is finished with a beautifully-aged green patina and coated with a glossy UV-resistant coating for outdoor use. Due to the handcrafted nature of this item, the shape of each snake body will vary slightly. 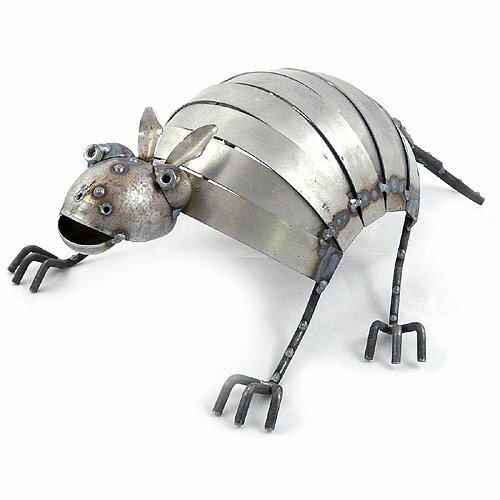 Crafted from recycled scrap metals, this enticing creation has over 30 pieces of metal welded together to form the little armored critter. The metal armadillo stands approximately 5.5" tall and 16" long. Used outdoors on the patio or in the garden, a rust patina will develop naturally on most of the metal sections. Made by hand in Utah. Note: Due to the vintage nature of the metal, slight differences in patina should be expected.